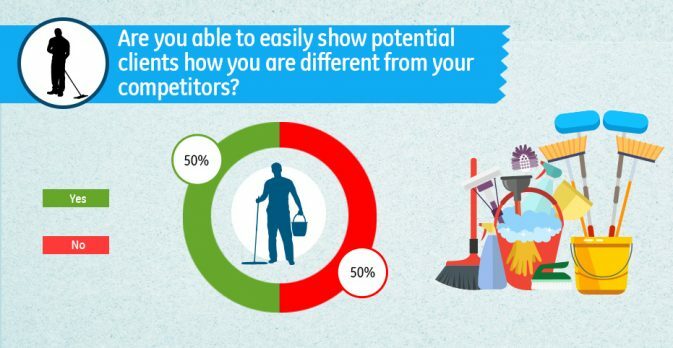 We surveyed nearly 500 janitorial business owners, and here’s what we found — and what it means for you! See all of these stats in one place! Download the infographic! 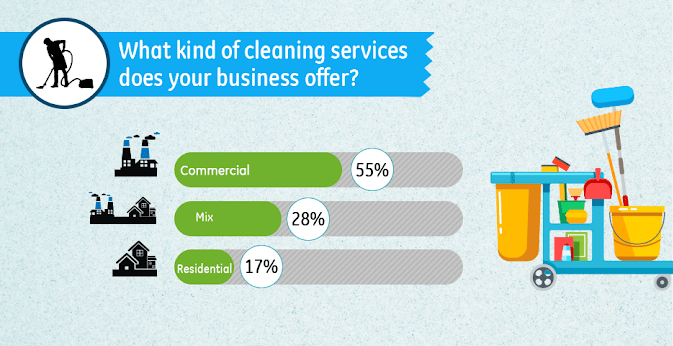 Of the remaining 83%, we found that the majority does just commercial cleaning, as opposed to a mixture of both. Read on to learn what these owners of commercial cleaning companies had to say about sales, cleaner retention, and communication in their businesses! With it’s low barrier to entry and steady market demand, the cleaning industry attracts aspiring and serial entrepreneurs alike as an opportunity to start a profitable business. But intense price competition and high employee turnover rates prevent many small and medium sized businesses from achieving meaningful growth. While Swept serves customers of all sizes, we understand that small business owners have unique challenges and created educational content accordingly, so it’s no surprise that the majority of our survey respondents fall into this category! 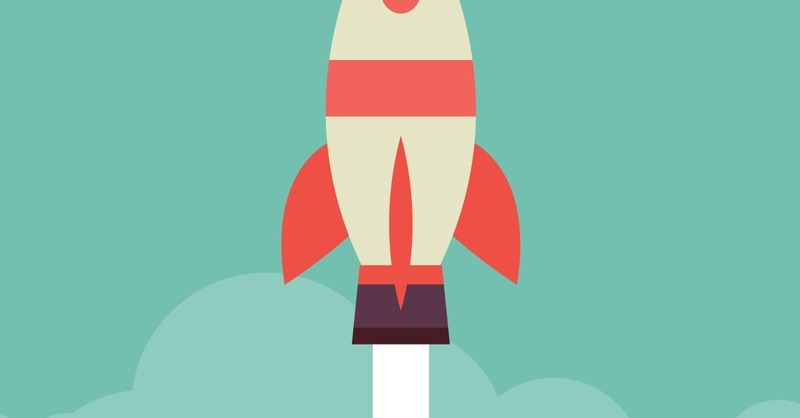 If you’re one of the many owners of small commercial cleaning businesses who is either just starting out or is struggling to get to the next level, take heart! The Swept team is on a mission to provide your with the tools you need to grow! This one shouldn’t be surprising, as we just learned that the majority of commercial cleaning businesses are quite small. But many owners are also caught in a chicken-and-egg scenario of not being able to focus on growing their business because they are still busy doing some of the cleaning, or at least filing in for cleaners who don’t show up! They can’t get out of this cycle because in order to afford more cleaners, they need more contracts, and winning new contracts take a lot of time and energy, which they simply don’t have. 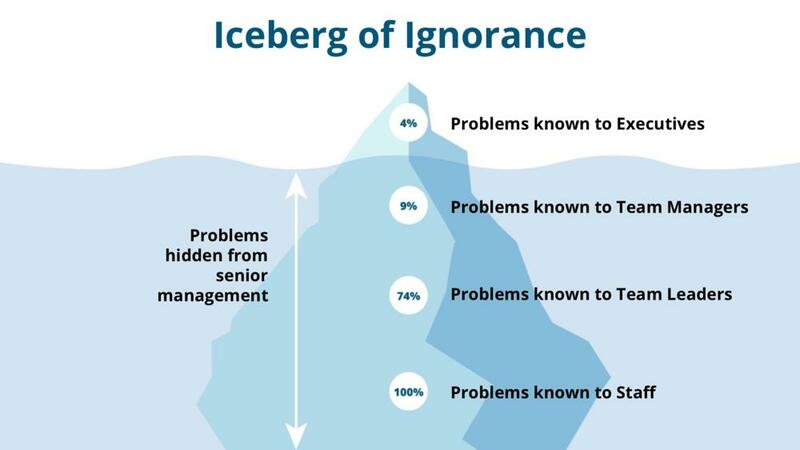 If this is you — caught somewhere between an owner/manager and a cleaner yourself — there is hope! 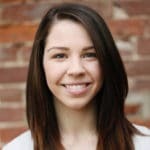 To get out of this cycle of cleaning and running the business at the same time, you’ll need to work hard at 1) delegating tasks that don’t need to be done by you, and 2) blocking time in your calendar that is dedicated to growth activities like improving your marketing, perfecting your sales pitch, and identifying clients you want to work with. 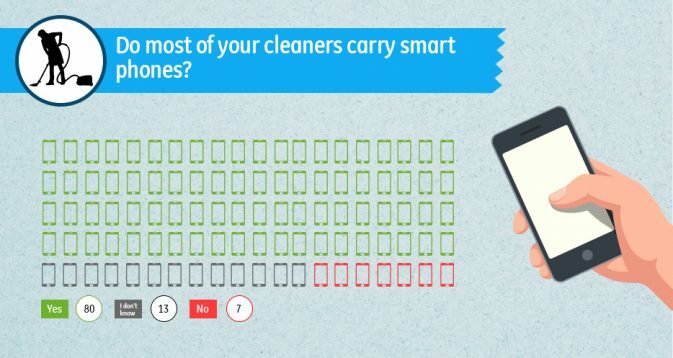 It’s 2018, so it should come to no surprise that the majority of people are carrying smartphones, and that includes cleaners. Now, some business owners see this as a negative because they worry their cleaners will spend more time texting or browsing social media while at work than actually cleaning. 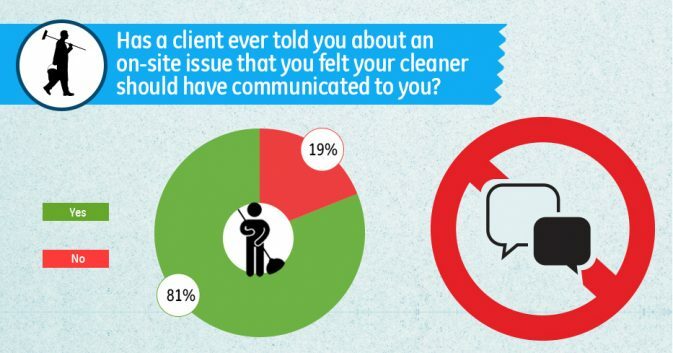 While this is a valid concern, we feel that the improvements to communication and the trust you will build with cleaners will outweigh the risks you face. Celebrate! The fact that your cleaners are already using smartphones is great news, because it means implementing a system like Swept will be even easier. And your cleaners can celebrate too, because unlike many mobile apps used in the industry, Swept isn’t designed to track cleaners, it’s meant to support them, and help them be more successful at work. It’s no secret that employee retention is one of the biggest challenges facing the janitorial industry. In fact, a 2016 survey by Cleaning and Maintenance Management revealed that 85% of BSC’s said recruiting and retaining staff was their number one challenge. 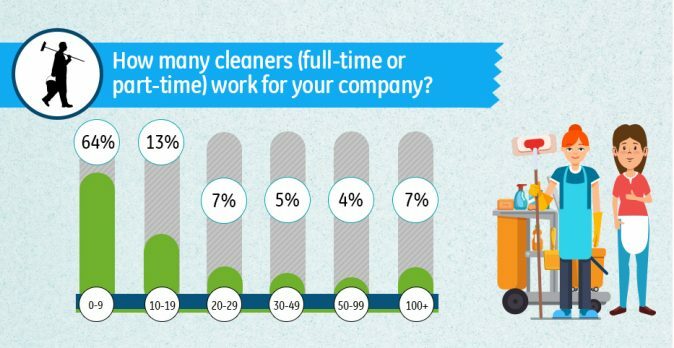 Other studies show that the average cleaner turnover rate is between 75% and 375% annually! Many are quick to blame high cleaner turnover rates on the nature of the janitorial industry: physically demanding work that doesn’t pay exceptionally well. Combine this with the fact that much of the work is done alone, late at night, and you’ve got what appears to be a perfect storm of undesirable job characteristics. While the characteristics mentioned above don’t make it easy to retain employees, the fact that some companies are able to keep happy, loyal cleaners suggests that the root cause of turnover goes beyond the work and wages. At Swept we believe that the key to employee retention is communication, so we’ve created a lot of content around that topic, not to mention built our software to be a communication platform! Poor communication is a common problem in industries like janitorial where staff primarily work remotely and independent of their managers. Knowing what’s going on across your commercial cleaning locations doesn’t have to be time consuming or expensive. While janitorial software like Swept can keep reports of problems organized and in one place, there are other tools you could use to collect this information (if you’re really not looking for janitorial software.) For instance, in the post How to Use Your Cleaners’ Phones to Improve Communication we give step by step instructions for setting up a problem reporting system using the free tool AirTable. Having said this, we don’t expect the system we recommend in the above blog post to work very well if you’re a large company servicing many locations. 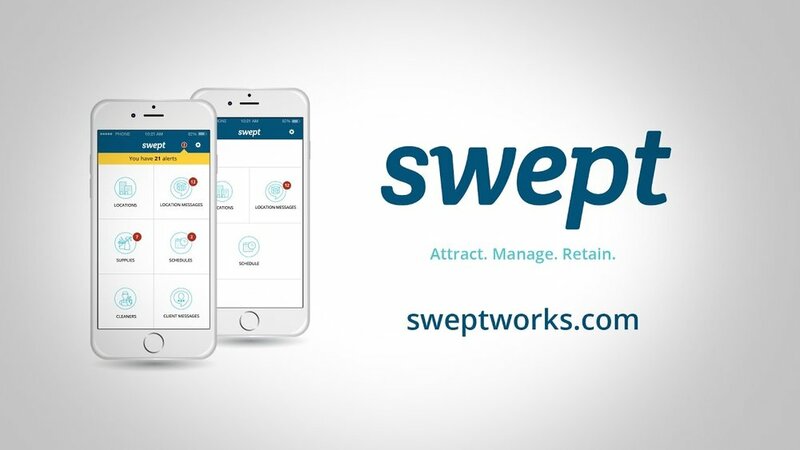 For a more robust system, and one that integrates with supply tracking, payroll, inspections and cleaning instructions, that’s where Swept comes in. To find out if Swept is right for your commercial cleaning business, click here to take our 2 minute quiz. You started your own janitorial business with the dream of being your own boss. Working your own hours. You never expected that would mean working ALL the hours! We’re not sure if this is good news or bad news, but you’re not alone! 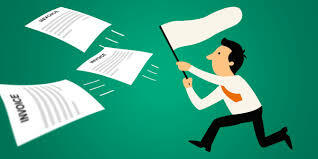 Playing catch-up, feeling burnt out, and being married to the biz are all common complaints we hear from owner/operators in the janitorial industry. Stop multitasking and instead focus on seeing each task through to completion before starting another. We recommend checking out Why You’re Not Getting More Done in Your Janitorial Business and How to Feel Less Stressed While Running Your Janitorial Company on our blog for more details on these time management tips. 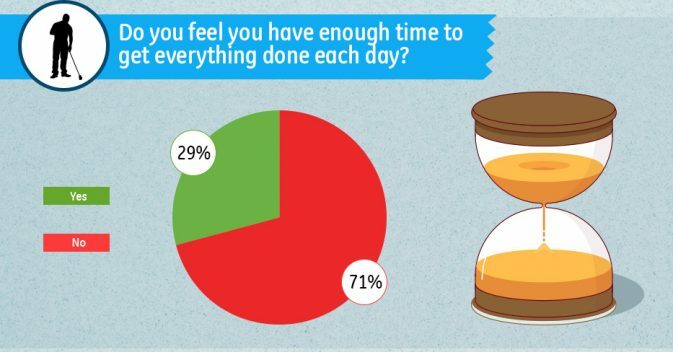 While this statistic is a bit scary, it’s not surprising given the results of the previous question. 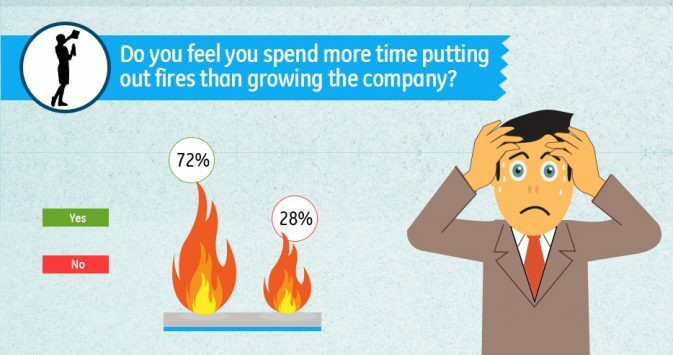 But why is it that the tasks that end up on the back burner are the ones that would have the biggest impact on your company’s growth?! Between customers calling with complaints, cleaners in need of supplies at half a dozen different locations, and payroll due at the end of the day… it’s no wonder goal-setting and long-term planning are the first tasks to go out the window! 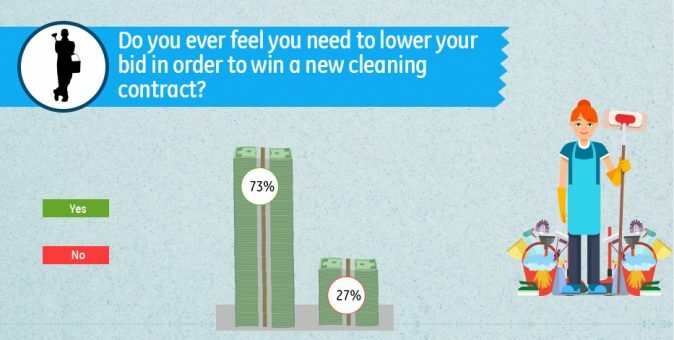 Here’s your hard truth of the day: price competition in the janitorial industry is REAL. In fact, many contractors compete primarily on price. They swoop in with their promises of being the best / the greenest / the most reliable, then they underbid on the contract, and underperform on the job. Do you have the most reliable cleaners? The greenest products? The best customer service? If you’re in the 50% of owners whose sales pitches sound like everyone else’s, this may be what you’re telling potential clients! The trouble of course with everyone and their dog making these same claims is that clients begin to tune them out, and ultimately end up going with the lowest bidder because they simply have no other way to differentiate one company from another. 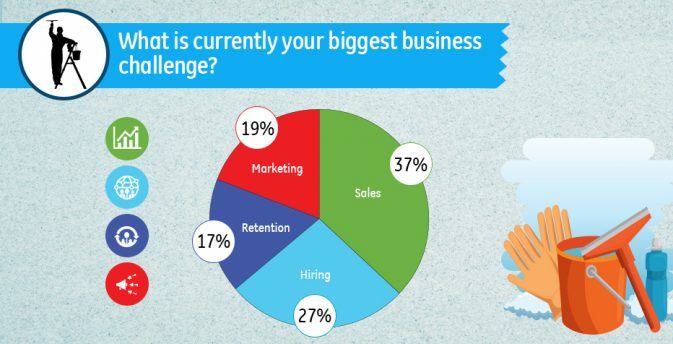 Finally, we asked business owners what area of their business poses the biggest challenge for them right now, and the results were quite divided! Nonetheless, winning new contracts proved the clear winner with 37% of owners selecting “sales” as their biggest challenge. 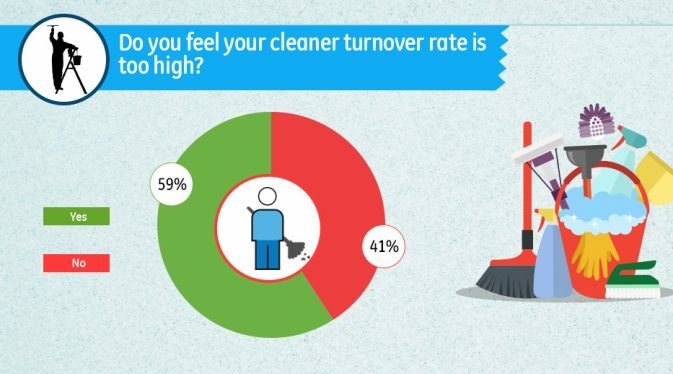 However, because we’ve heard time and time again that cleaner retention is a problem that plagues janitorial businesses, and yet it scored the lowest on the survey, we’d hazard a guess that all 4 of these areas poses a challenge for owners at times!